Comedy and dance combine for an uplifting summer season by Birmingham Royal Ballet (BRB) which honours one of the great choreographers in Britain. Facade is part of the Darkness and Light Birmingham Royal Ballet performance. 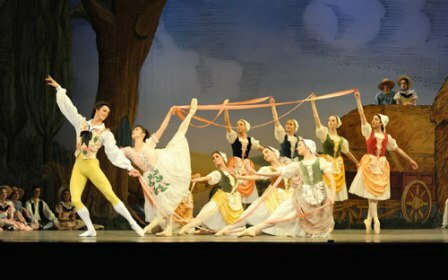 The world-famous dance company perform two productions, Darkness and Light and much-loved favourite La Fille mal gardée in June. These are all early works from famed choreographer and former associate director of the Royal Ballet Frederick Ashton, who died in 1988 at the age of 84. Darkness and Light features three dances during the evening - Dante Sonata, Les Rendezvous and Façade - from June 4 to June 7. While Dante Sonata dates back to World War II and symbolic of what was happening at the time as it dark overtones see children of light battling children of darkness. Innocence confronts evil to a score by Franz Liszt. This piece of work was inspired by Dante's Divine Comedy and features designs by Sophie Fedorovitch and lighting by Mark Jonathan. 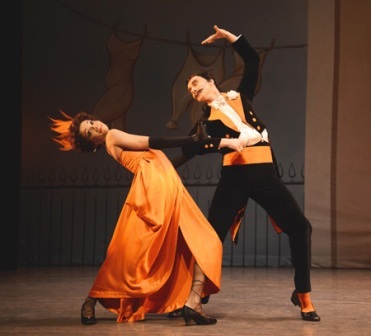 In contrast, Les Rendezvous is light-hearted and fun, and was created before the war in 1933 and was Ashton's first major ballet for the-then Vic-Wells Ballet. Through the dance, we see friends and lovers cavort in the park at the peak of summertime to music by Daniel Auber. BRB said each dancer gets an opportunity to display their virtuoso skills and technique in a series of solos, pas de deux and ensemble dances. Facade, the final dance of the trio, is fun-packed as it is described as being based on Edith Sitwell's "deliciously nonsensical poetry". The second show of the Summer Season is an old favourite and among Ashton's most fanous works - La Fille mal gardee, which will be performed at Birmingham Hippodrome from June 11 to June 15 and Theatre Royal Nottingham from June 25 to June 28. Romance, naughty escapades and the dazzling clog and ribbon dances have made this a comic and lovable ballet a favourite for all ages. Traditional in style and costume, it has pantomime-like characters and fills the stage with colour as two lovers attempt to foil their parents who are less than happy about them being together. It was an instant hit when it was created by Frederick Ashton for the Royal Ballet in 1960. Ashton was the choregrapher behind productions such as Capriol Suite in 1930, which led to him being appointed Chief Choreographer of the Vic-Wells Ballet (later to become Sadler's Wells Ballet and then The Royal Ballet) in 1935. Tickets cost from £10 - £87 and are available from the Birmingham Hippodrome website.